To some of us, interracial relationships are no big deal. But to others, these relationships are still rare enough to cause uneasiness. Where do you stand? Are you brave enough to share your position? I had the privilege of making a new friend, as I sought someone to interview for today's story. When Diane Bailey and I first got on the phone, we had no idea of what her story was going to be about. But God does have a sense of humor. As we began talking, Diane shared about the struggle she initially had in accepting her daughter's relationship with a black man, and how God helped her reach a different place of understanding. I asked her to share a little bit more. She did so-- with refreshing honesty -- all the while not realizing that the person who was interviewing her was African-American. Tell us a little bit about yourself, Diane. I am the mother of four. Two children by birth, and two stepchildren. I also have three grandchildren. I've been married for 13 years, and live in Montgomery, Alabama. I'm also the author of a book called "String of Pearls - Tears to Treasure". Share with us a significant time in which your faith was challenged. I think we all go through a wide variety of challenges, because it draws us closer to the Lord. But there was a time in particular in which my daughter, Megan, was dating someone that we were not really thrilled with. This was mainly because we did not know him, and because he was of another race. I was praying about it, and asking God to remove the situation. I decided that I would go to an older woman in the church, really expecting her to agree with me, to ask her for wisdom on how to handle the situation. Of course, this woman agreed that it was a difficult situation. In the South, interracial relationships are not necessarily typical, or socially acceptable. So, I said to this woman, "How am I supposed to handle this? What does God expect me to do here?" And that precious woman-- she was definitely the one that the Lord wanted me to talk to-- she looked at me and said, "The first thing that you're going to do is remember that you are a CHRISTIAN. And you're going to show this young man the love of Christ. And either one of two things will happen-- he'll be put off by it and run away, or your heart will be changed, because you'll see Christ in him". Wow. That's so amazing, Diane! I love what that woman told you. That was wisdom! That was God. She had no idea of what I was going to ask her about, and (her response) just truly came out of her spirit-- out of her heart. Where Christ is, it just overflows. I began to pray for him-- his name is Kelly. I began to be kind to him, and speak to him, and invite him to the house. Eventually, I began to see that though Kelly was of a different race, he was EVERYTHING that I had asked the Lord to provide for my child. He was a godly man. He was a family man. He's a hard worker. He and Megan were both pushing each other, and encouraging each other in their educational pursuits. Three days before the wedding, as I was loading up the car, I received a phone call. One of the groomsmen, Joe, my daughter's cousin and best friend, had died suddenly in a tragic work-related accident. So on the day that the wedding was supposed to take place, we ended up having a funeral instead-- in the same church, at the same time. We still don't know why that happened. It was so bizarre. But we know that God could not have helped but be involved in pulling people together like that. If nothing else, it was a blessing that everybody was already there for the wedding, so that they could be there for the funeral. Kelly's family lived in that city, so they came as well. It was just a very beautiful outpouring of love and support from that family. My daughter was still grieving a couple of months later, so she and Kelly decided to get married in a private ceremony instead of a guest-filled wedding. And when they eventually had their first child, my grandson, they give him the middle name "Joseph", named him after Megan's cousin Joe. God's ways are so much greater than ours. Sometimes you look to Him, and you want to say, "What are you thinking? That doesn't seem like a very godly move here!" When Kelly and Megan were first dating, and we were all saying, "No, we're not doing the interracial thing", Joe was the first one in the family to step up to the plate and say, "No... He's a good guy and I like him". How have others in the family received Megan's interracial marriage? Well, her grandparents, being raised during the 1930's, still struggle with it some. But because there are children involved now, they have opened up their hearts, and they visit and love on the children, and speak to Kelly. But there's still an awkwardness with them. But to the rest of us, he's just part of our family now. He and I can laugh and cut up about different racial things. One time, we walked into McDonalds, and he looked at me. It was funny -- we were both thinking the same thing before he said it. He said, "You want to pretend like I'm your son? ", and I said, "Yeah! I was thinking the same thing". So we walked in, and ran with it. We're at the point where we have fun and have the best times together. Can you give us another story about you and Kelly? When you go out in public, and there is a biracial relationship, people stare. And though we smile and just push past them, it can be a little intimidating and uncomfortable at times. We were in a public area in New Orleans one time, and there were some people who were just making little comments and crowding in on us. I saw my son-in-law put his arm around his wife, and pull her close. But then he reached out and put his arm around my shoulder, pulling me in, as if to say, "I'm here, protecting you". And we pushed through the crowd. The situation didn't last a long time-- it was only a few seconds. But just the fact that he pulled me in... I had accepted him as part of my family-- as my child, too. So when he pulled me in, it was like he was saying "this is my family, too, and I'll protect her as well". It seems that as you've gotten to know Kelly, the things that used to make him seem so different don't stand out when you look at him now. You know that the world looks at him as a guy who's of a different race than you are, but you see something a little deeper. Well, there have been adjustments that we've had to go through, because it isn't COLOR, but it is CULTURE. Kelly shared a story with us about a time in in elementary school when he got very upset, because one of the boys in his class had called him a "n_gger". The teacher pulled him out in the hallway. She asked him, "Why are you so angry and acting so ugly?" He told her, "Because he called me a n_gger!" The teacher responded, "Well, it's just a name. And sweetheart, you are black". She was a sweet teacher, but unfortunately, this was just the mindset of the 80's in Mississippi. He looked at her like, "Are you nuts?" So, there are different cultural things that we've had to work through and understand about each other. It's never really been the color so much. It's just culture. It's the difference in our life experiences that we go back and forth on, and try to understand about each other. What would you say that your relationship with your son-in-law has taught you? That love truly can be color blind. It looks past color, and it looks past culture, and it sees Christ in the person. What words of encouragement do you have for others who are struggling with accepting an interracial relationship in their family? I'd tell them exactly what the woman from my church told me. First of all, remember that we're Christians. And we have a different standard of living than the world. The first thing you need to do is show the love of Christ. If that person is not a Christian, it will either win them over or drive them away. You're a representative of Christ. And this needs to be reflected whether you agree with what's going on or not. You're a Christian at all times! 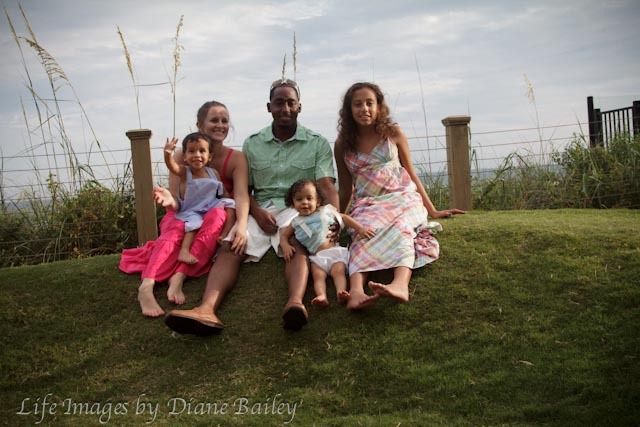 Diane W. Bailey is the mother of two, step mother of two, grandmother of three, and wife to her husband of 13 years. She is the author of the book String of Pearls - Tears to Treasures, released this year. 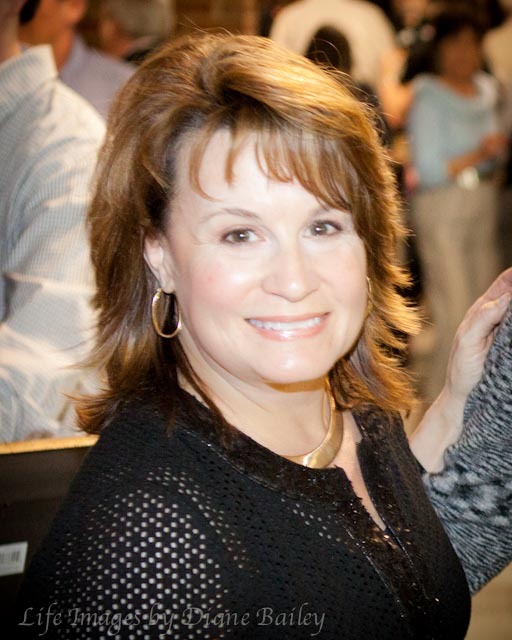 You can find her on facebook and twitter, Diane W. Bailey or join her in conversation on her blog dianewbailey.com. Thank you, Diane, for being so refreshingly honest about your experience in accepting your daughter's interracial relationship. I'm so grateful for the people that God puts in our path, like the woman from your church, who help us to grow and mature spiritually, day by day. To the readers, thank you for stopping by, and reading Diane's story. Diane and I had to touch base after the initial interview, so that I could clarify a few points before sharing her story. It was then that she realized I was African-American. "No, I was not offended by anything you said", I assured her, chuckling. I was instead pleased that she was candid enough to talk about her story, and that it had a happy ending. We chatted a bit more, and then locked each others numbers into our cell phones. If you have a story of coming to faith, uncovering and living out your purpose, or some other story of God working in your life, I'd love to hear about it! Write to me at karen@unstuckandunstoppable.com. WoW...a beautiful story, bravely and honestly shared. Thank!